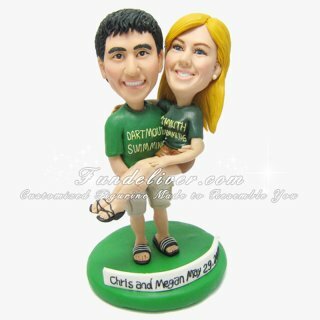 This is a completely customized sport theme wedding cake topper ordered by a great parent for her son and daughter-in-law. 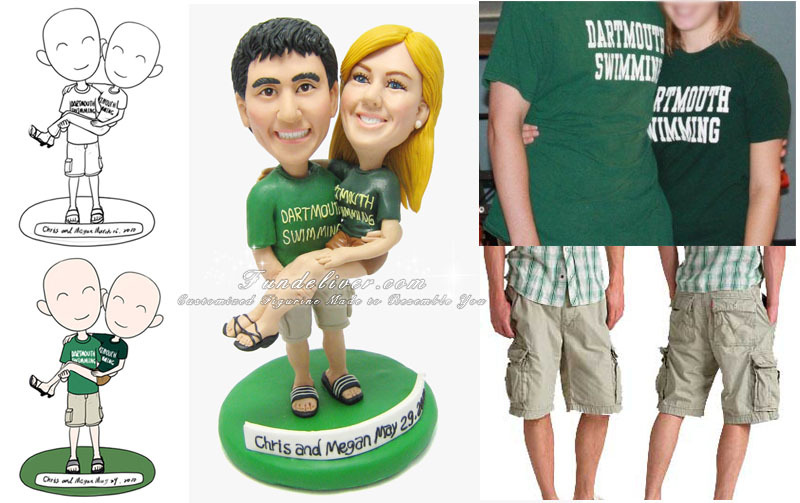 The newlywed met on the Dartmouth Swim team so their parents want them in their green swim team shirts. The groom always is in swim sandles so they want his figurine in sandles too. The bride is in tan shorts. Want to know how do they think about their cake topper? "We absolutely love the figurines. You were able to capture my son and future daughter-in-law beautifully. We worried if the non-traditional pose (that of the future groom holding his bride to be) would present any problems but your sculpture was perfect."